Join us at our Open Evening! Calling all parents and carers! 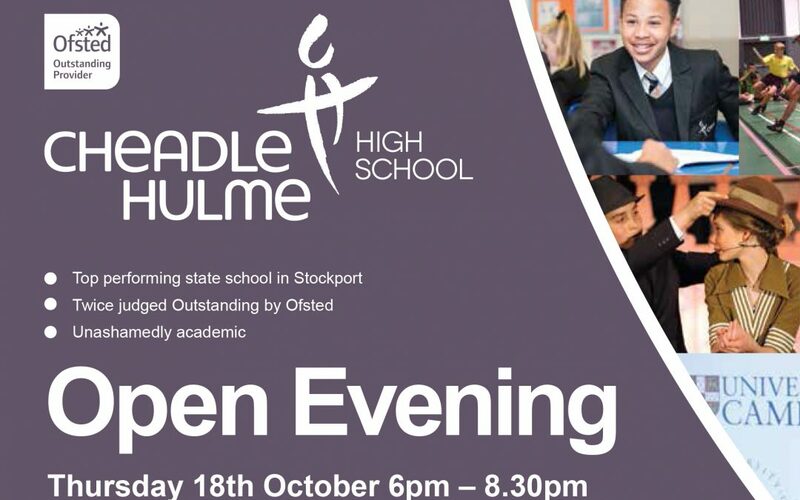 Please join us at the Cheadle Hulme High School Open Evening on Thursday, October 18 from 6pm to 8.30pm. Come along and find out all about Stockport’s most successful state secondary school, meet the teachers, hear from headteacher Dave Brown and ask any questions you may have. There’ll be lots for you and your children to see! We hope to see you on the 18th October!